We were thrilled to be interviewed recently by the lovely people at Wishpond.com (a local shopping platform which helps online shoppers find products from retailers near them) about our social media presence – you can see the interview on their blog here. It is incredibly flattering and exciting to be featured based on the work that we’re doing online – it’s always nice to know your time and effort is being noticed. It also made us realize that it’s about time that we do a blog post on all the new social networks that we’ve become addicted to started using in the past few months! We started using Tumblr as a way to share fun little snippets of some of the things that happen in our stores each day without overwhelming people on facebook or twitter. It is also great for discovering and sharing images that we find inspiring, captivating or, let’s be honest, just plain pretty. We started using instagram a few months ago when Lauren (the one in charge of our social media and, um, writing this blog post) bit the bullet and got an iPhone. 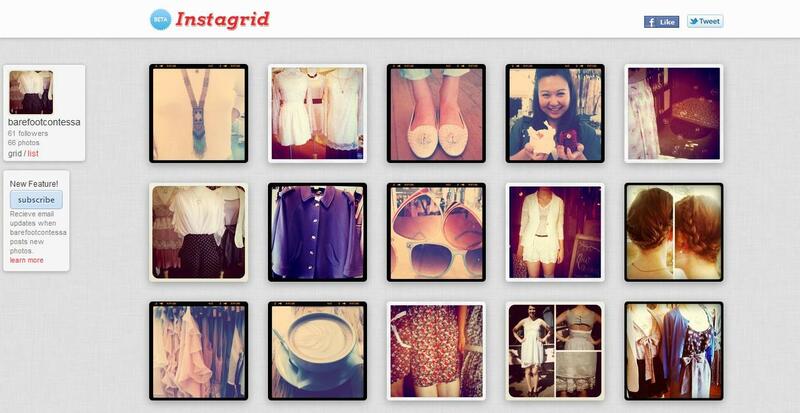 Instagram is an awesome iPhone specific photo-sharing app that is gaining in popularity right now. We use it to share pictures of fun and pretty things we spot while working in the stores – things like cute outfits we’re styling for the windows, cute shoes, cute customers, and, one of our favourites, cute dogs. Many of the BFC girls have iPhones and have subsequently become instagram aficionados and huge contributors to Barefoot Contessa’s instagram account. So don’t be alarmed if you’re shopping in one of our stores and a staff member asks to take a quick picture of your cute shoes/dog/bag/etc, it just means that we love it (and we’ll show you the picture for full veto authority). If you don’t have an iPhone but would still like to check out our instagram photos, you can take a peek at the instagram album we posted on our facebook page or check out our instagrid. If you do however have an iPhone, follow us! Our user name is barefootcontessa. Often used when planning weddings, rooms in your house, seasonal fashion collections and the like, mood boards are a great way to help spark inspiration for a certain project. Essentially they are a collection of images representing elements that when combined, help to formulate ideas and solidify what you want the ‘mood’ of something to be. Traditionally mood boards involved a lot of clipping and cutting out pictures from magazines, poster board and a glue stick or two. Not so anymore friends, not so. Now we have Pinterest. 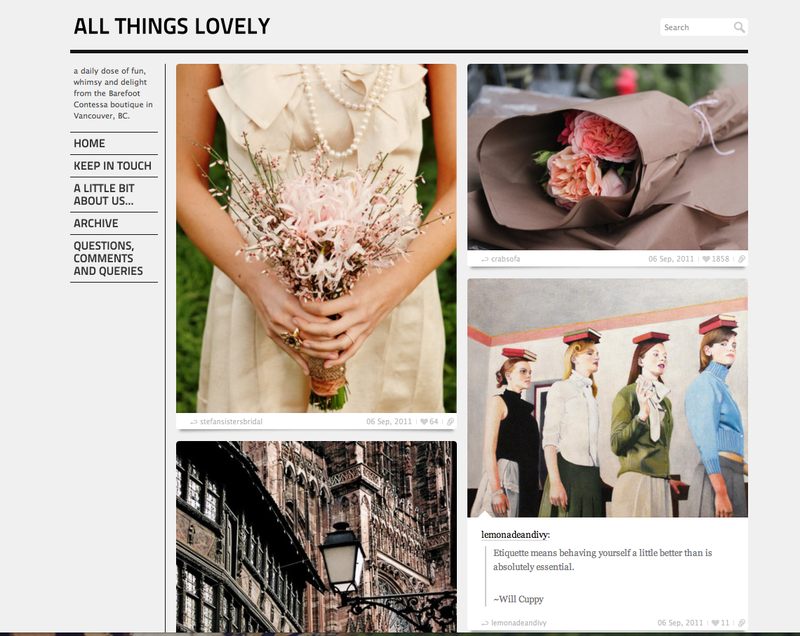 Pinterest is a fun social network that allows you to create mood boards online. We won’t go in to too much detail here, but we highly recommend you check it out (warning: it’s addictive!) Basically, you have multiple boards, such as “Dream Home” or “My Style” which you then can ‘pin’ images to from all over web. 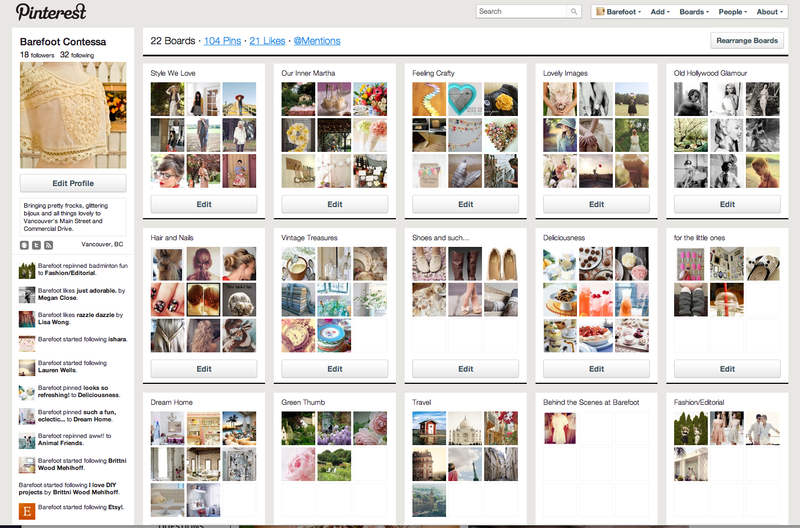 You can also follow your friends (or people who’s style you really like) to see what they are ‘pinning’ to their boards and then ‘repin’ their images. It sounds a bit confusing, but you get the hang of it pretty quickly and it suddenly becomes really fun. We swear. Although we’re not planning a wedding or redecorating our kitchen, Pinterest is great for getting inspiration for interesting window and product displays, along with style inspiration,which obviously helps when buying for the stores. Plus who doesn’t love sharing pretty pictures? Which social networks have you recently started using?